Check out Tobi's Winter Chic Infinity Scarf Wear this trendy scarf all winter long, we won't judge. How can you not? The Winter Chic Mustard Infinity Scarf combines your favorite chenille, your fave winter fabric, with your fave type of scarf, the infinity. It's a match made in heaven. This knitted scarf will def add some winter chic to all your fall and winter 'fits. Wear this trendy scarf all winter long, we won't judge. How can you not? 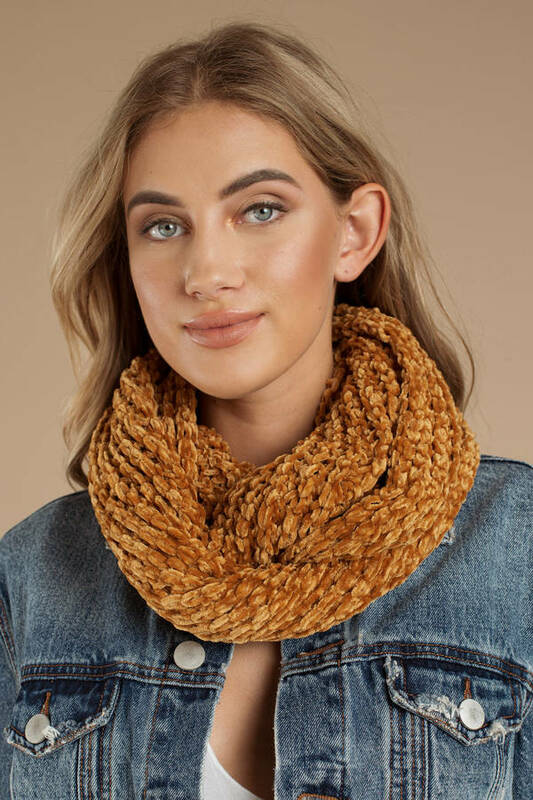 The Winter Chic Mustard Infinity Scarf combines your favorite chenille, your fave winter fabric, with your fave type of scarf, the infinity. It's a match made in heaven. 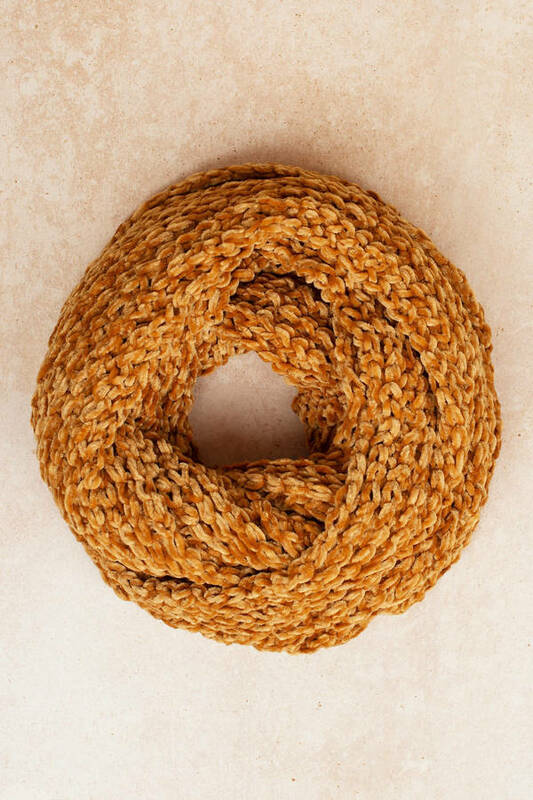 This knitted scarf will def add some winter chic to all your fall and winter 'fits.